Behind the scenes of one of the most powerful clubs in America. Donna Shalala, the former President of the University of Miami and Health and Human Services secretary under Bill Clinton, has announced her plans to run for Congress in Florida’s 27th district. The news comes nearly one year after incumbent Ileana Ros-Lehtinen announced her plans to retire from Congress. Despite being a longtime Clinton ally, serving as head of the Clinton Foundation after a 14-year stint as University of Miami’s President,Shalala has a storied history of bipartisanship in Washington, working for both Democrats and Republicans over the course of her career. In 2007, she was handpicked by George W. Bush to run the Commission on Care for Returning Wounded Warriors along with Senator Bob Dole. In 2008, President Bush awarded her with the Presidential Medal of Freedom. Before joining the Bush administration, Shalala was appointed HHS Secretary by President Bill Clinton, staying in the position for 8 years, the longest tenure for an HHS Secretary in history. The district, which encompasses the greater part of Miami and Coral Gables, is relatively Dem-friendly, going for Hillary Clinton over Donald Trump by nearly 20 points during the 2016 presidential election. 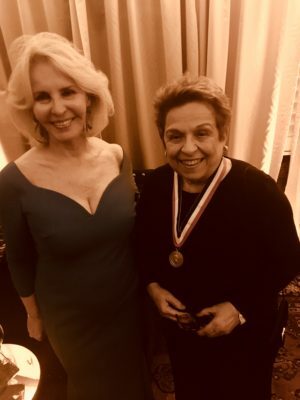 Shalala was in Washington for the annual Alfalfa Club Dinner shaking hands and greeting old friends including Sally Quinn. Here’s an interview with Shalailah and the Miami Herald after news of the announcement broke. On the latest episode of Bloomberg’s Masters in Politics podcast, hosts Tammy Haddad and Betsy Fischer Martin spoke with Clinton Foundation’s Chief Communications Officer Craig Minassian and former Republican presidential candidate Dr. Ben Carson. 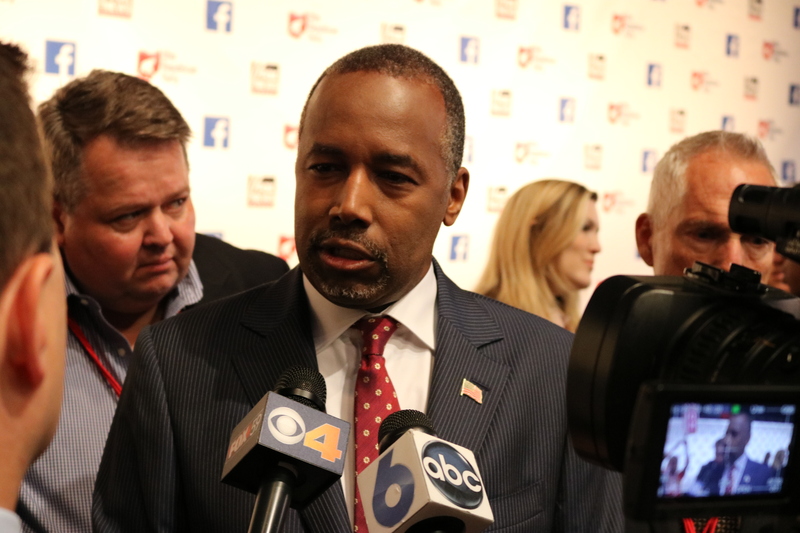 Carson attempted to clarify Trump’s comments on Vladimir Putin, and Minassian discussed controversial donations to the foundation. Hosts Tammy Haddad and Betsy Fischer Martin questioned Craig Minassian on the controversies surrounding the Clinton Foundation’s donors and programs. “Countries were donating before [Clinton] was Secretary of State, and most of those donations came pre-2004”. When asked about Saudi Arabia’s contributions to the foundation, Minassian explained, “Saudi Arabia never donated while she was Secretary of State. They did contribute again after she was out of office but the majority of countries did not.” He also noted to the fact if Saudi Arabia wrote a check today to the foundation that they would be unable to do so. Minassian is a longtime Clinton advisor going back to the Clinton White House years. You can check out the full interview here. Exploring “behind the scenes” of the most powerful reporters and editors in the world, the Washington press corps. We track the White House Correspondents’ weekend and all the activities around it from journalists and media companies to the White House and politicos. Tammy Haddad is Co-Founder and Editor-In-Chief of WHC Insider and she hosts the Washington Insider podcast. White House Correspondents Insider is not affiliated with or approved by the White House Correspondents Association which is a registered trademark of the WHCA.